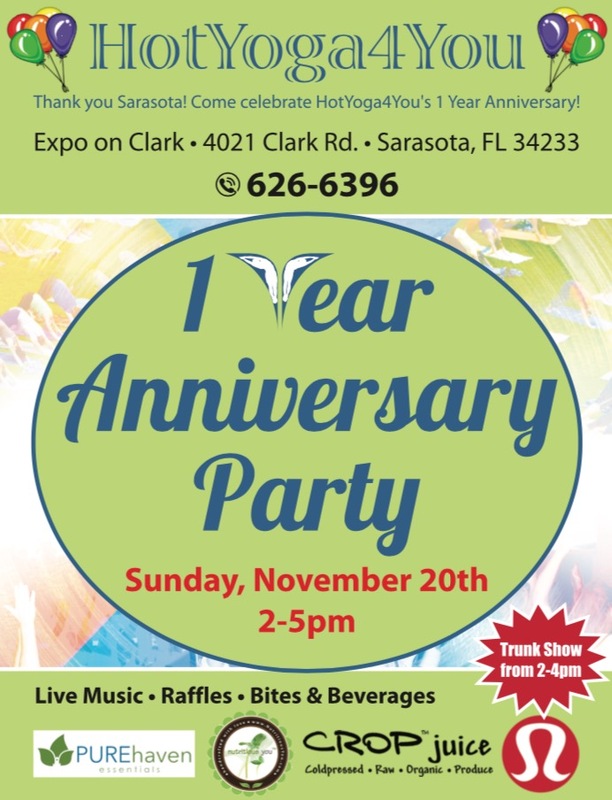 Join us at the Hot Yoga 4 You Studio for our one year anniversary party! Sunday, November 20th 2-5pm. We’ll have live music, raffles, snacks and refreshments available, as well as a trunk show from 2-4pm. Also, the weekend of 11/18 – 11/20/16, all yoga packages (except auto-debit programs) are 15% off! If you are currently in a package, you can purchase a SALE package and place it on hold and can activate it later. Available for purchase via the mobile app, online store or in person. 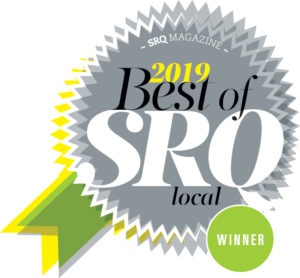 Any questions, contact us at 941-626-6396.